Update: Nintendo of America's website says that the DLC packs will cost $7.99 apiece. You can also both at once for $11.99. They also mention that you can purchase the DLC in advance to get the bonus skins mentioned below. 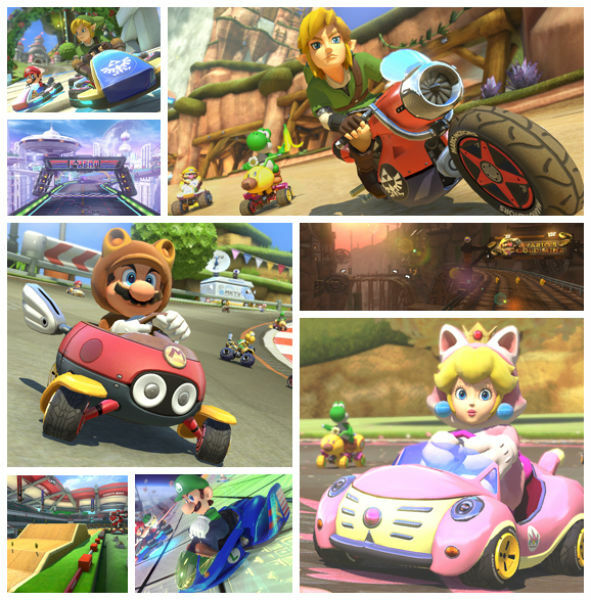 Original article: Nintendo has revealed that Mario Kart 8 will be receiving extensive DLC in the coming months. These add-ons will introduce characters and locations from other popular Nintendo franchises. "The Add On Content packs include classics like Wario’s Gold Mine from Mario Kart Wii, as well as new courses, some taking place in the worlds of The Legend of Zelda and Animal Crossing," says the Nintendo UK website. 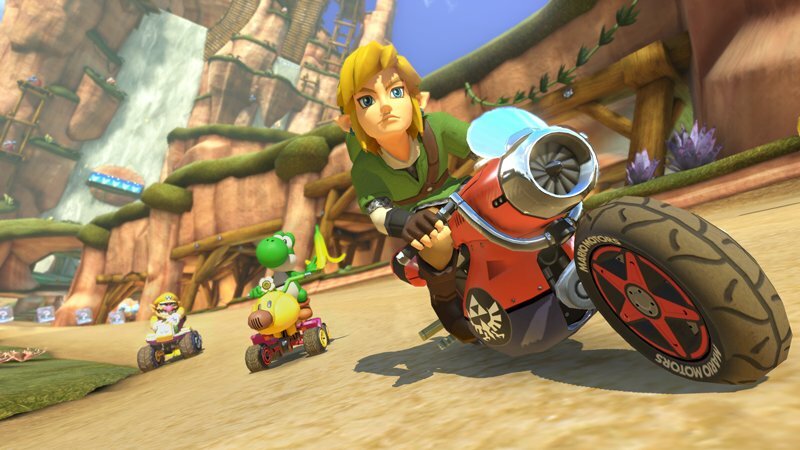 "New vehicles will also arrive with each pack, including the Blue Falcon kart representing the F-Zero franchise in the first AOC pack." 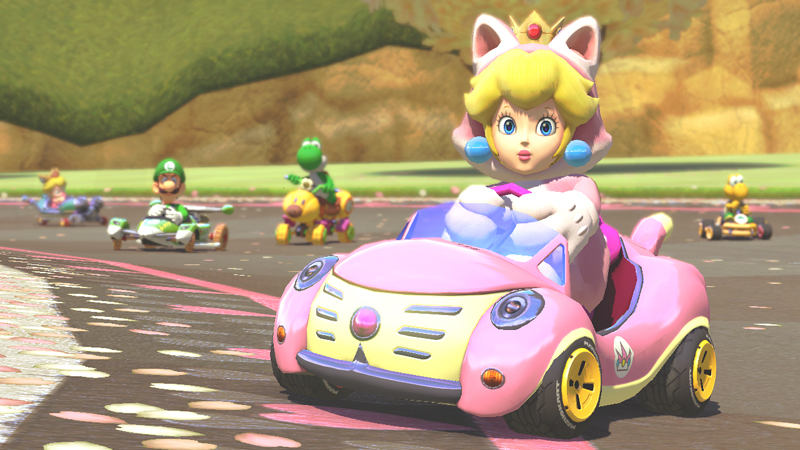 The first Mario Kart 8 DLC pack will arrive in November 2014. This add-on will introduce Tanooki Mario, Cat Peach and Link as playable characters. It also features four vehicles and eight courses. 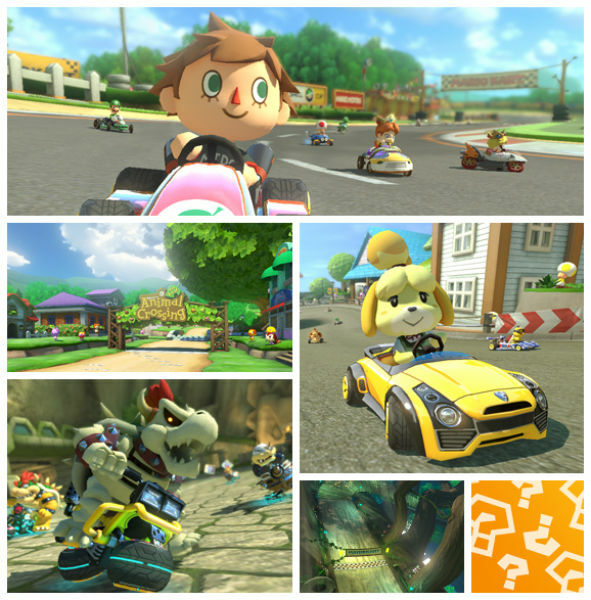 DLC Pack 2 will follow in May 2015 with the same amount of characters, vehicles and courses. The trio of new characters are Dry Bowser (a skeleton version of Mario' nemesis) as well as dog-person Isabelle and a generic villager from Animal Crossing. That's all we know about that add-on thus far, though. That's a surprising amount of new content for the game. 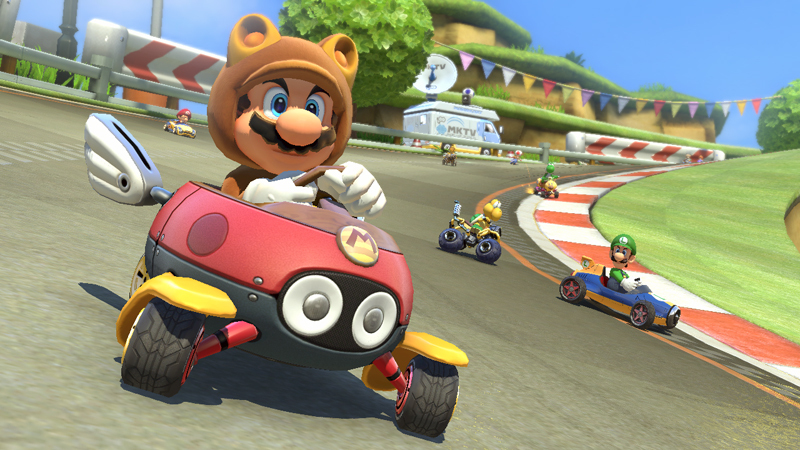 The new courses will bring the total number of MK8 tracks from 32 to 48. The character and vehicle totals are being upped to 36 and 34 respectively by the DLC. Considering the amount of time that we'll have to wait for these add-ons - Pack 2 won't be out until the game celebrates its first birthday - this might be the only DLC we'll get for the game, though. 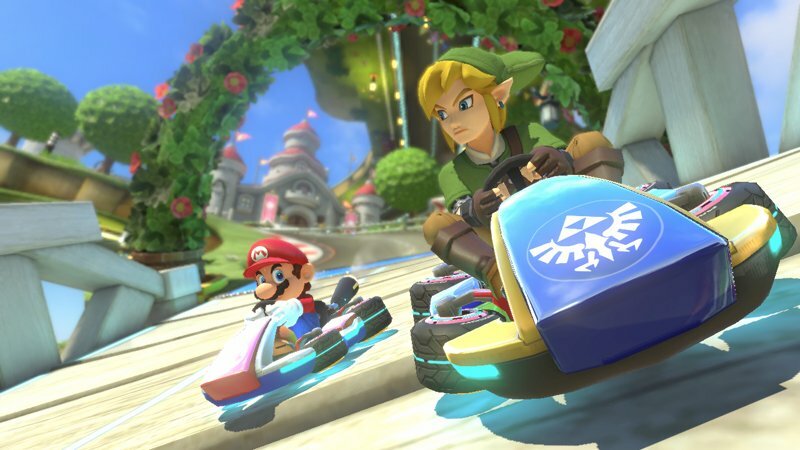 Nintendo UK lists both Mario Kart 8 add-ons with a price of £7.00. The website mentions that there will be an option to buy the two together for a discount. You'll also earn extra character skins for buying both. "As a bonus for purchasing both packs - as a bundle or separately - you can get eight different-coloured Yoshis and eight different-coloured Shy Guys that can be used right away." The first screenshots of the DLC packs are below. They don't show every piece of new content, unfortunately, so we'll have to wait for further announcements from Nintendo. 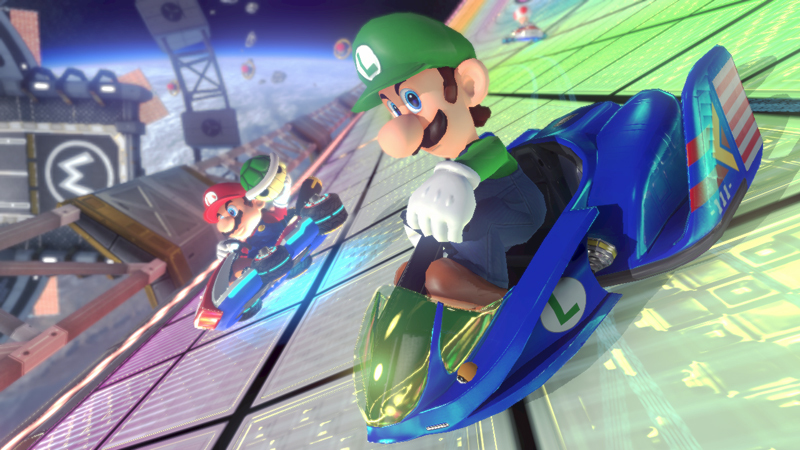 Is Mario Kart 8's DLC worth the money?